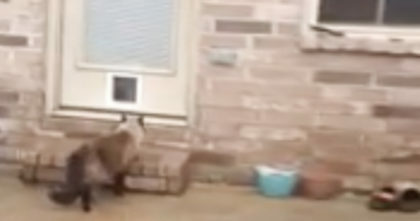 They Noticed Their Cats Watching Something, But When They Saw What It Was?? …Just In Time! These cats noticed a stray outside and brought attention to their kind humans by all 10 of them gathering and looking at the poor stray kitten outside! 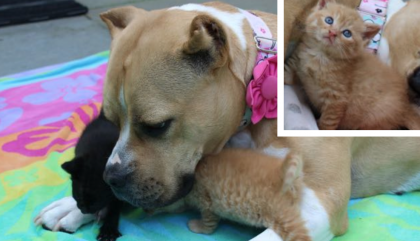 Thankfully after discovering what was getting these cats interest, they knew what they had to do – they rescued the kitten. They recorded the cats looking with great interest as the stray receives some food, just in time! 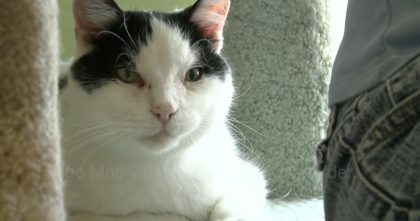 Cat Was Rescued From A Cat Hoarder, But When You See Where He Lives Now?? AMAZING. 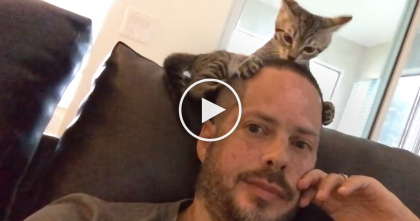 This Kitten Gets SOO Excited About His Human, Now Watch What Happens Every Night! 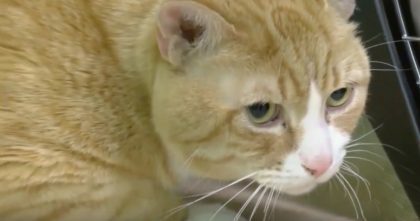 Cat Jumps Out Of The Car And Gets Lost, But Then… Just Watch This Story Till The End, AMAZING.